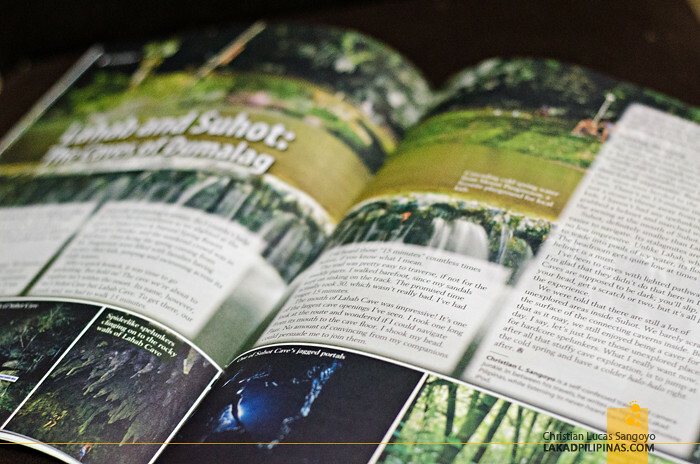 It was my first time to contribute an article to Health & Home, a magazine that has been around since 1959. I actually have no idea about the magazine’s existence until they contacted me to write for them since they’re on subscription basis only and are not being sold on bookstores. 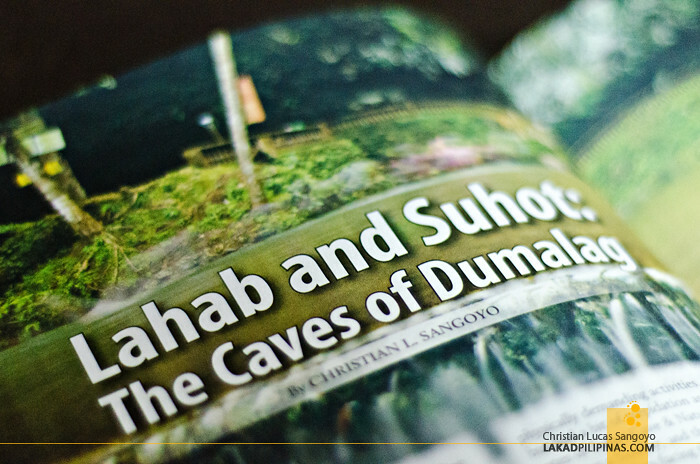 The article was about the Caves in Dumalag, a town in Capiz. 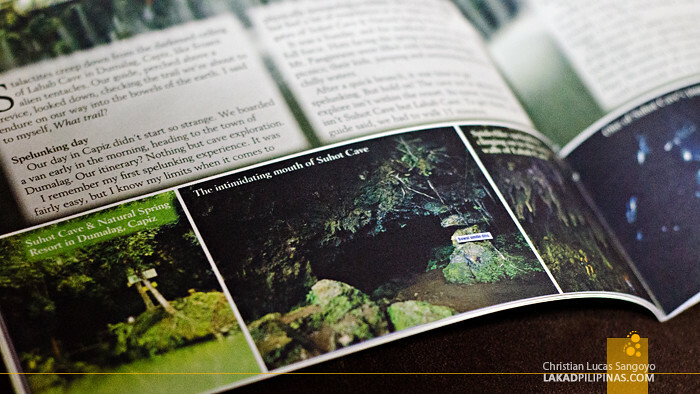 We explored two caves in the area a few years back, Lahab and Suhot Caves, during our tour with Capiz’s tourism team. It was quite an unforgettable experience as I hiked barefoot after sinking ankle-deep in mud en route to the second cave. 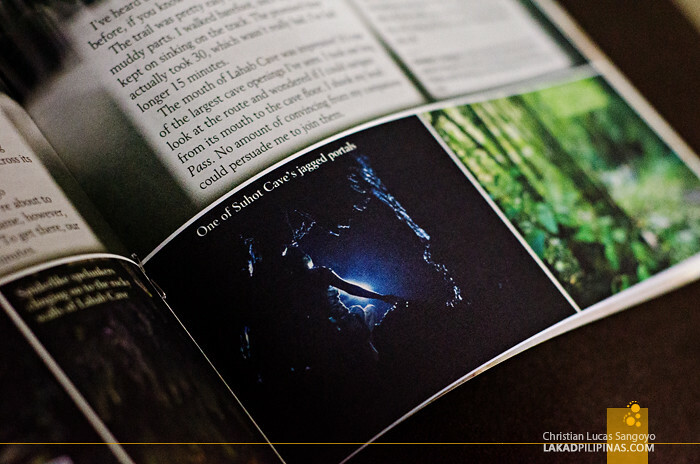 It was quite a challenge shooting inside a cave if you’re with a fast-paced group. Bring a tripod to set up your shots and you get left behind. I had no choice but to execute all the photos handheld, timing my shots when my companion’s helmet-rigged lights would fall on interesting areas and relying on my camera’s ISO handling to counter the noise due to the extreme low-light condition. I’m no spelunker and caves are the furthest things on my mind when I think of something fun to do, but well, when it’s right in front of you, you got to do what you got to do. My piece ran on Health & Home’s November-December 2015 issue.